I’m currently working on my first picture book as author and illustrator, to be published by Walker Books in Spring 2016. I’m using watercolour pencils, a new technique for me, and having a lot of fun experimenting with different ways of smudging. 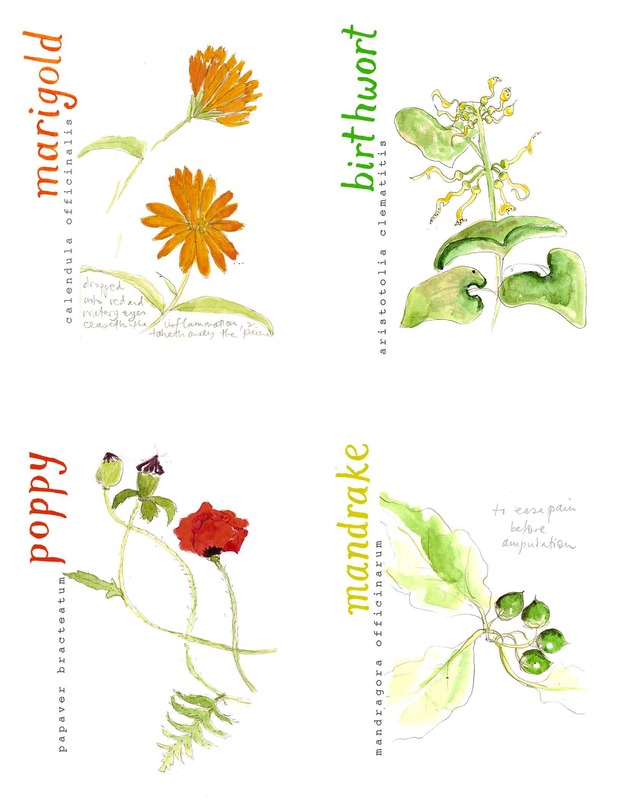 This entry was posted in Illustration, plants on November 20, 2014 by Jane Porter. 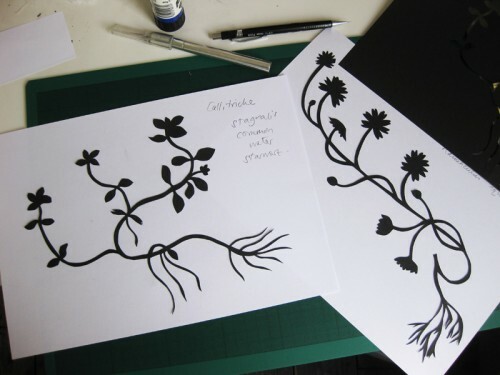 I’ve had my scalpel out this week cutting stencils of native species of plants for a project I am doing with the Wandle Trust – I’ve been looking at aquatic species that thrive in the river Wandle. 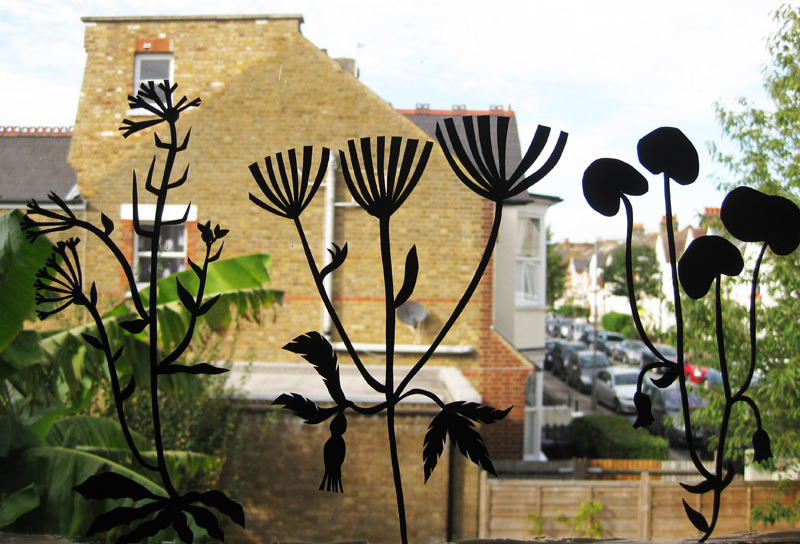 A few ended up on the window to liven up the view – look out for the banana leaves behind. This entry was posted in Illustration, plants, River projects on September 14, 2012 by Jane Porter. 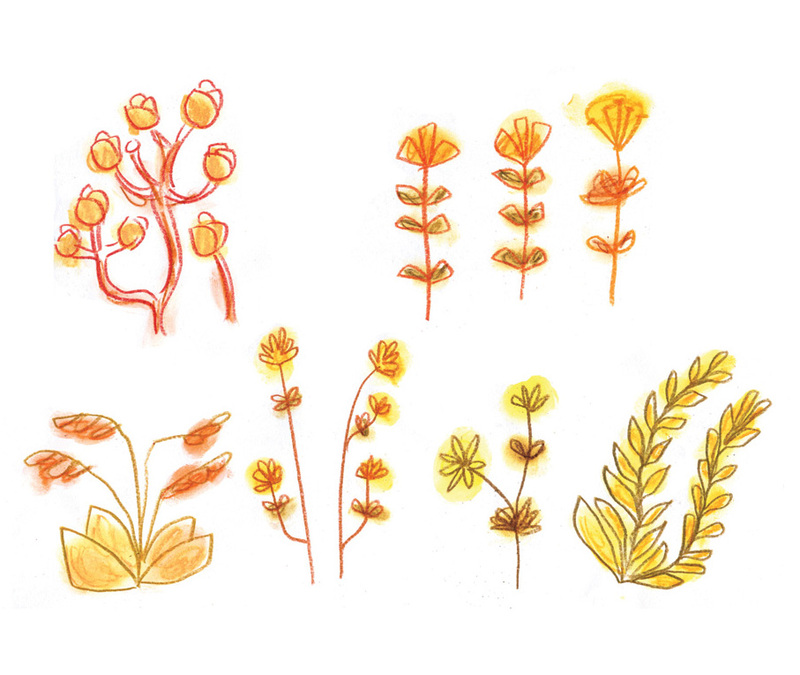 Watercolour sketches drawn at the Chelsea Physic Garden. 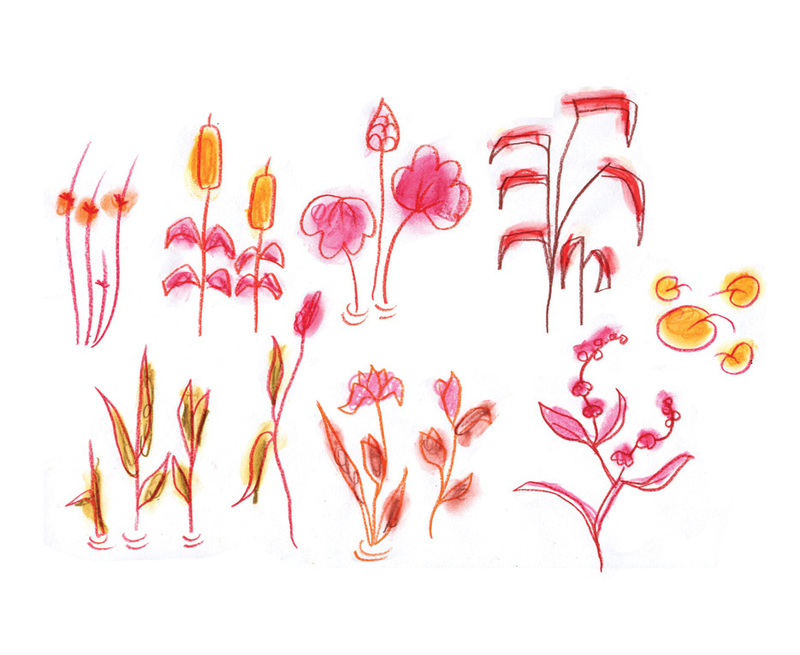 This entry was posted in Illustration, plants on June 12, 2008 by Jane Porter.